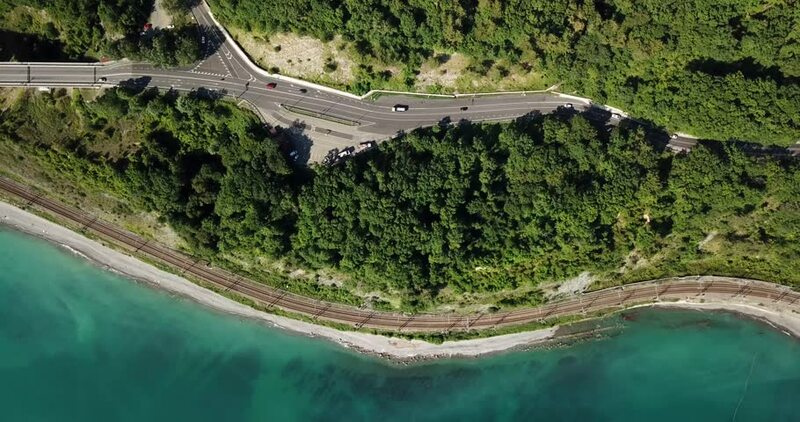 4k00:114K aerial stock footage of car driving along the winding mountain pass road through the forest in Sochi, Russia. People traveling, road trip on curvy road through beautiful countryside scenery. hd00:27RADECE/CELJE, SLOVENIA - 3. AUGUST 2017 Wide river and a railway next to it. The country of Slovenia is beautiful. Aerial shot.